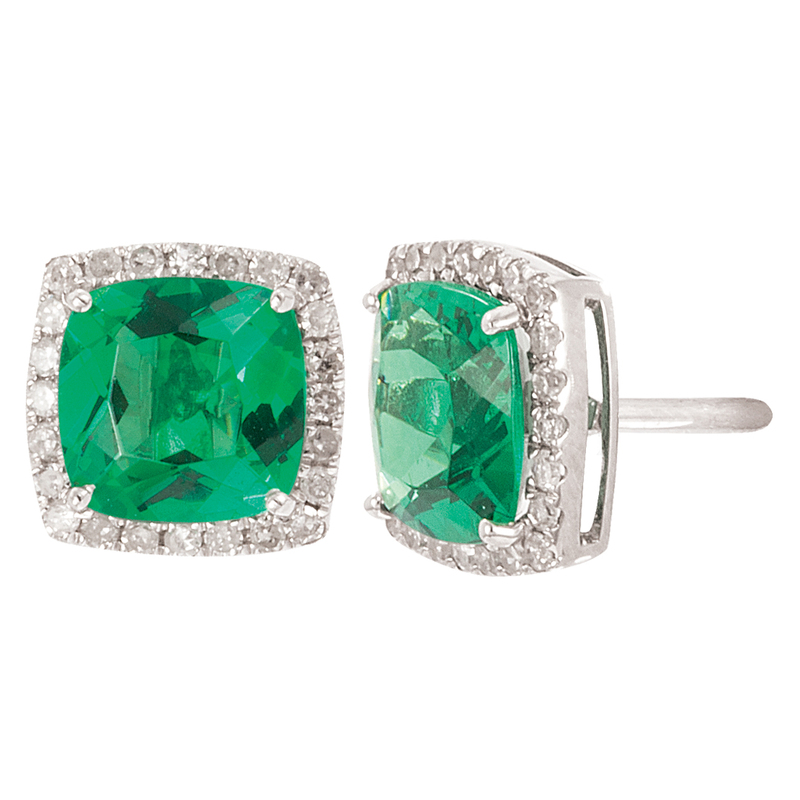 Cushion cut lab created gemstone and diamond stud earrings in 14 karat gold. Available in all gemstones. 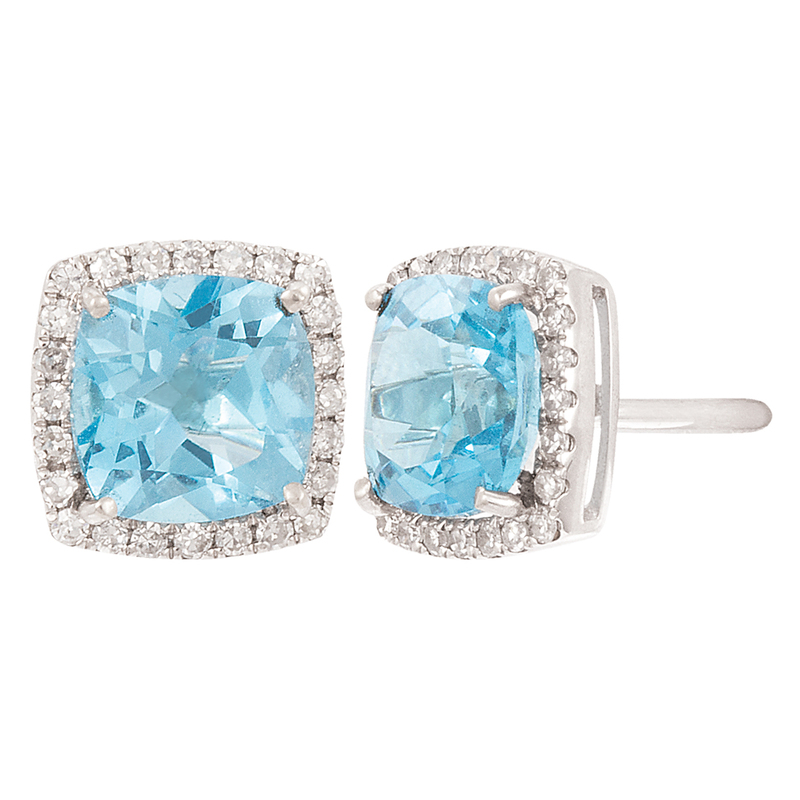 I am requesting information for White Gold Diamond Gemstone Earrings.